Jayden Hicks is arguably Melbourne’s most talented and versatile male dancer and he has now joined forces with another of the city’s dance talents to create RedBack DanceCo. A graduate of Jason Coleman’s Ministry of Dance and The Space Dance and Arts Centre, Jayden has a jam-packed performance and choreographic CV in addition to the incredibly popular classes he teaches around town. Jayden’s partner in crime is Trent Harlow, a graduate of Brent Street Performing Arts Academy and a key member of Dance Dynamics dance studios. Wild Eagles Fly Alone is the debut piece for RedBack DanceCo, and with these two stars at the company’s helm, as well as the inclusion of an elite cast of dancers, it is no wonder there is already a lot off buzz surrounding RedBack’s upcoming performances. Tell us how RedBack DanceCo came to be. After working with each other in 2011 (StageArt’s Matalor), the idea came to produce a show together. When the opportunity on StageArtExposed was offered we jumped on board and got creating. Dancers of RedBack DanceCo in rehearsal. Photo by Prudence Wilson. What makes RedBack DanceCo unique? We believe in mixing the art of theatrical storytelling with contemporary/jazz dance. We are aiming to spread the audience of dance shows into the general public with approachable and easily understandable story lines. Tell us about the dancers in the company. It’s an all-girl cast, each of them coming from different backgrounds and styles. The individuality of these amazing dancers was the inspiration to create Wild Eagles Fly Alone. The fusion of their styles has created a well balanced show. Tell us more about Wild Eagles Fly Alone. Our show in February is titled Wild Eagles Fly Alone. It is the story of five friends who on a night out are faced with a horrifying situation. Leaving one of their friends stranded the girls have to deal with the guilt of her death. Their distinctive personality traits makes each of them react differently but they all have the same vivid memories when they see each other. It’s the idea of challenging friendship against guilt. When/where can we see RedBack DanceCo perform? Wild Eagles Fly Alone is showing at Chapel Off Chapel as part of the StageArtExposed Festival on the 6th, 7th and 16thof February. Where can we get more information about the company? Currently you will only find RedBack DanceCo. on Facebook, but on the completion of the show more information will become available. 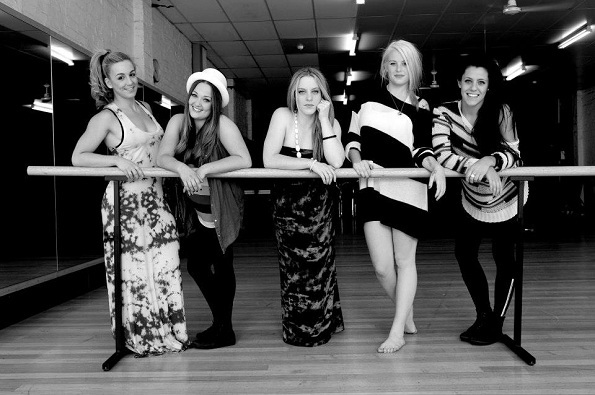 Visit www.facebook.com/redback.danceco. What do you have planned for RedBack DanceCo in the future? We hope to continue producing approachable contemporary/jazz work. We are in talks about touring Wild Eagles Fly Alone regionally and interstate throughout 2013. Wild Eagles Fly Alone will be presented Wednesday, 6th February, Thursday, 7th February and Saturday, 16th February at 6:30 p.m. All tickets are $27.50. 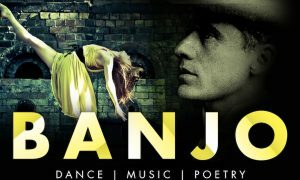 To book, call 03 8290 7000 or visit www.chapeloffchapel.com.au. For more information, visit www.stageart.com.au. Photo (top): Dancers of RedBack DanceCo. Photo by Jayde Justin.